ANITA TIMPANI: STILL WORKING ON THE REVOLUTION! 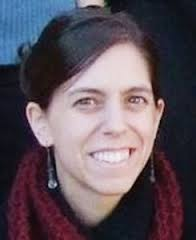 When Anita Timpani lived in Tucson and volunteered at Casa Maria she was really helpful because she actually used her Masters degree in theology from Gonzaga University to inspire us and help us think about what it means to be Catholic. She got married, is going to have a baby and now lives in North Carolina. She continues to inspire by sending us this article on why it’s so great to be a Catholic! ← Yo’ Daily Star, What’s your beef with H.T. and TUSD?